Aged 5 years in oak barrels. A highly complex and profound bouquet that has been built layer by layer. In the mouth, its wonderful balance maintains almost intact the primal freshness and the noble aromas of Muscat with the tertiary aromas of aging. 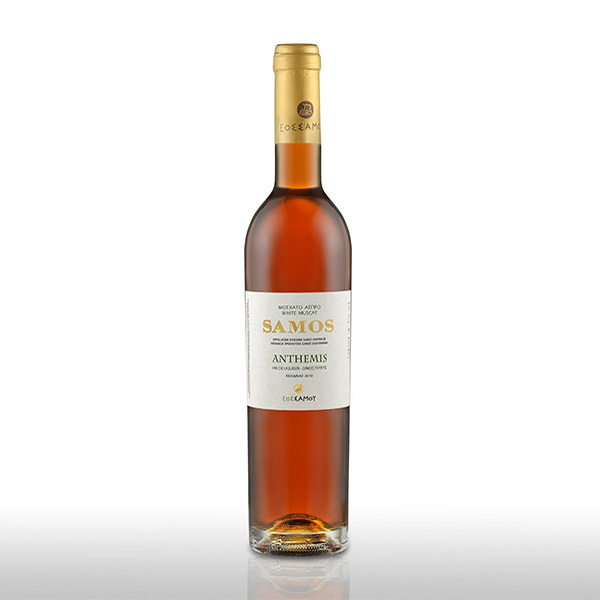 Served at 12-14ο C.
An impressive wine with a deep orange color and bronze hues, testifying to its 5-year aging in oak barrels. 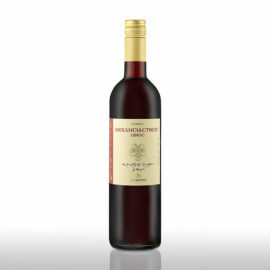 Aromas of honey, honeycomb, butterscotch candy, fruit preserves, cherries dipped in alcohol, background of cocoa and chocolate, compose a highly complex and profound bouquet that has been built layer by layer. 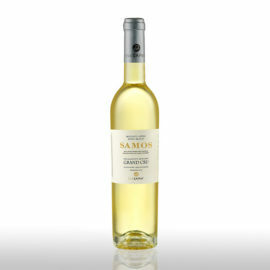 In the mouth, the wonderful balance of Samos Anthemis manages to maintain almost intact the primal freshness and the noble aromas of Muscat with the tertiary aromas of aging emerging and combined uniquely with those of dried fruits, tobacco and chocolate that give a truly “special” wine. It is perfectly matched with haute confiserie creations with a strong sweet taste and aromatic complexity. Also with traditional oven sweets, aged yellow cheeses, tarts and sweets with dried nuts, fruit tarts, foie gras with sweet quince or fig, handmade ice cream. On its own, after the end of a dinner, it delightfully accompanies a light cigar.